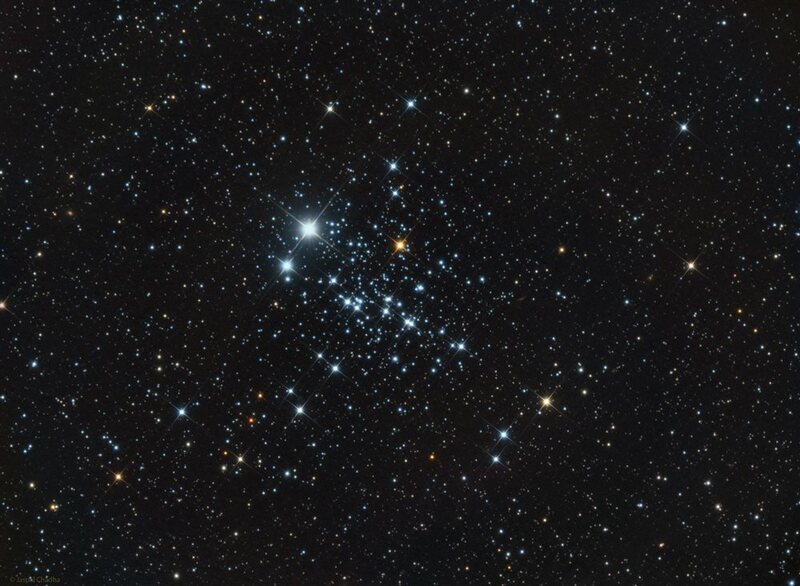 NGC 457 (also known as the Owl Cluster, the ET Cluster, or Caldwell 13) is thought to be about 21 million years old, and about 7,900 light years from Earth. It contains about 150 stars. There are at least a several dim galaxies in the field, all 17th magnitude or fainter.